The University of Notre Dame will attend the 2016 BIO International Convention, which is hosted by the Biotechnology Innovation Organization (BIO) from June 6 – 9, 2016 in San Francisco. The convention is described as the largest event for the biotechnology industry and attracts the biggest names in biotech, offers key networking opportunities, and provides insights and inspiration on the major trends affecting the industry. 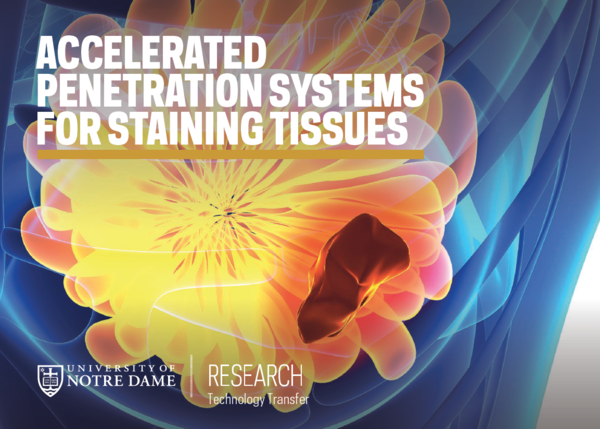 Zhang’s research has lead to Reveal3D™, an all-in-one platform that automatically processes tissue biopsies. The results provide a data-rich three-dimensional image of a tumor as well as its surrounding environment, allowing clinicians to identify the various diseases within a singular tumor sample in addition to information regarding how the cancer is evolving in real-time. Reveal3D™ helps lower chances of misdiagnosis and allows researchers to see up to 1,000 times more information than current two-dimensional technologies. Originally published by Brandi Klingerman at research.nd.edu on June 06, 2016.